Stunning Florida Keys home designs with fine artistry in combination with technical know how, advanced training and expertise. 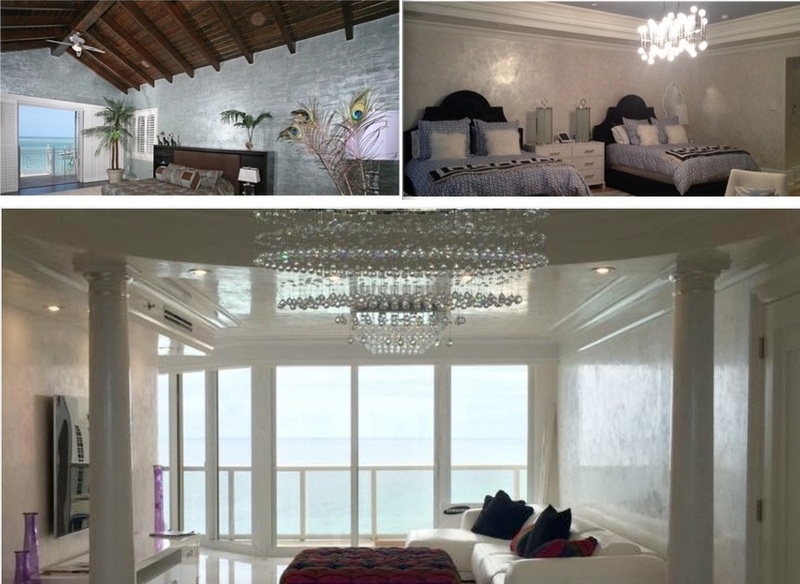 More than painting contractors, Florida Keys artists ﻿Jeanne Hall﻿﻿﻿ and her team excel in Florida Keys home decor and designs providing top quality decorative painting and faux finishes for Florida Keys homes and resorts. 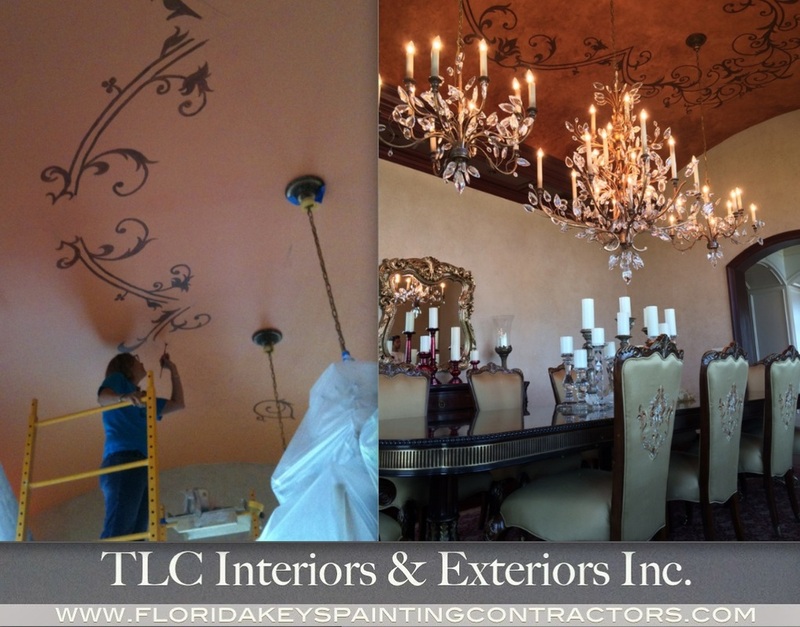 Before and after shots of this beautiful ceiling custom painted by TLC painting contractors Florida Keys artist Jeanne Hall. They create beautiful textures, murals and a variety of surface applications for unique, custom Florida Keys home decor. Homeowners, designers and Florida Keys builders contract their services continuously. Their work and portfolio speaks for itself. Our interior finishes include polished Italian plasters, decorative faux, stencil, glazing, high end custom work. Need to match something? We can do it... Faux painting in advanced techniques, designs and creative painting, matching a wallpaper design... free hand murals, more. 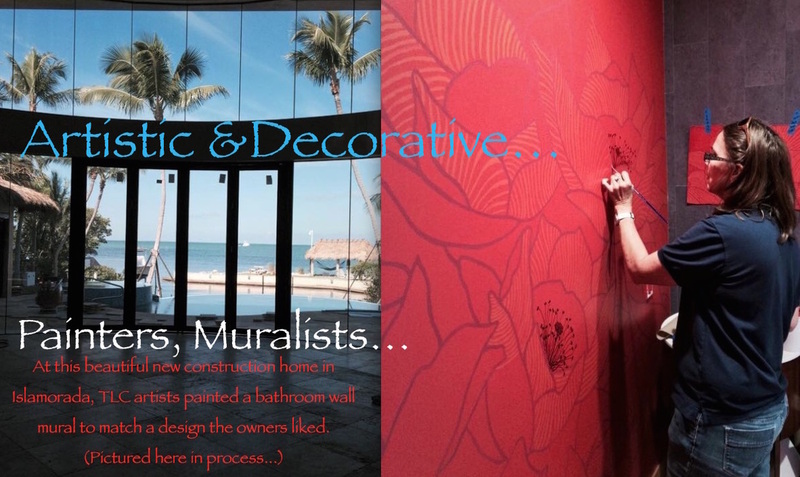 Pictured here, a wall mural in process for this waterfront Florida keys bath decor. Raised stencil design for interior decorating and painting service in Islamorada home.